The Australasian gannet is a magnificent, large white seabird with a yellow head, black outer wing feathers with some black on the tail. Renowned for their remarkable soaring and diving skills, gannets have frontally placed eyes for accurate telescopic vision. Low plunging dives are their most common fishing methods. 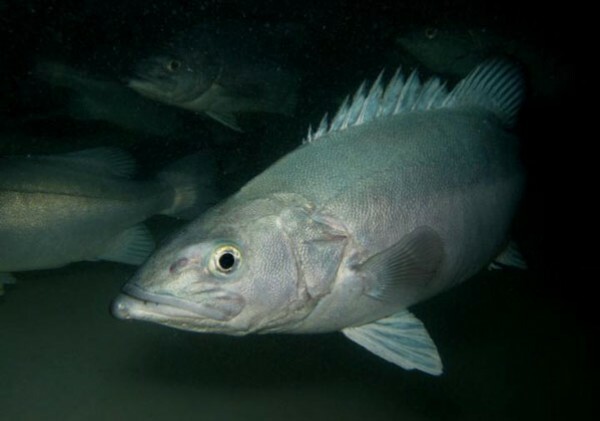 However, they may begin kamikaze-like dives from as high as 30 metres, reaching speeds up to 145km/h before plummeting into the sea and diving as deep as 10m to catch fish that can be as large as a barracouta. 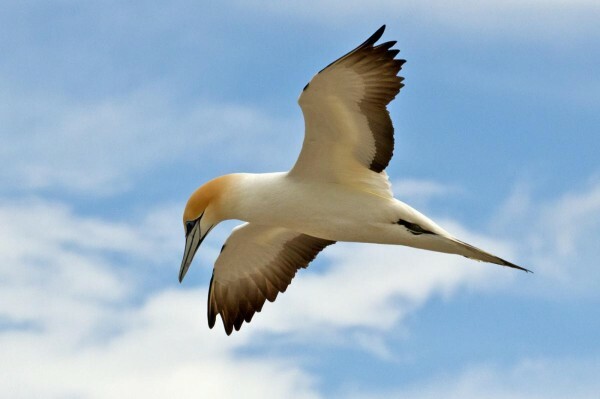 With externally closed nostrils (the birds breathe through air passages inside the bill), air sacs under the throat and chest to cushion the impact shock, and wings that are trailed behind the tail to reduce resistance, gannets are designed for hitting the water at high speeds. In their nesting colonies they can be quietly observed (from a distance) displaying intricate preening and courtship feeding duets. There are two breeding colonies in the Marlborough Sounds: One at Anatohia Bay at the entrance to Queen Charlotte Sound, and the other at Waimaru Bay in the Pelorus Sound, both of which appear to be growing. The eggs are tucked under their large feet which have extra blood vessels running through the webbing to provide incubating heat. Immature gannets are like many seabirds in that after a considerable period of early growth at the nest site, they take off on long journeys before returning to the colony. New Zealand gannets between two and five years old are frequently found fishing in Queensland and Western Australia but will attempt to return to their original colony to mate. The king shag is a large black and white shag or cormorant, identified by its pink feet and white wing patches which show clearly as a white bar when the bird is perched. They crane and twist their necks into yogic contortions to follow any intruder who snoops around the roost. Closer examination is unlikely but would reveal orange caruncles above the bill and a bright blue eye-ring. 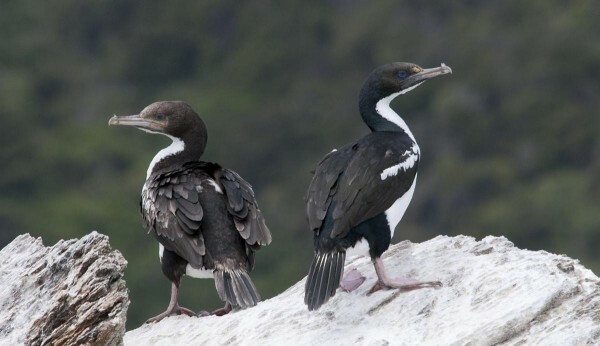 The king shag is endemic to the outer Marlborough Sounds and like most shags, it has a protracted breeding season with egg-laying occurring from March through to June with the last young usually leaving the colonies by late winter. Studies have shown that in Pelorus Sound, the diet was almost exclusively comprised of witch flounder and a left-eyed flatfish. The king shag breed at four main sites in the outer Sounds: White Rocks; Sentinel; North Trio; and Duffer’s Reef. Their nests are usually situated at sunny lookout points to view their fishing bays and are usually placed a safe distance from predators on the limb of a large tree, on the ledges of a sheer cliff face, or on a rocky outcrop island. Here the birds relax after a hard day’s fishing and hang out their wings to dry like washing pegged to a line. It is beneath the surface of the water that these birds are at their most efficient and graceful. The gently duck below the surface then turn on amazing spurts of speed from their propeller-like webbed feet, diving as deep as 30 metres in the chase. All shags have hooked bills, which are ideally suited for seizing fish, and exceptionally elastic throat pouches to make swallowing easy. With a total population of around 640 birds, the king shag is one of the world’s rarest seabirds although the population is considered to have been stable for at least the past 50 years. 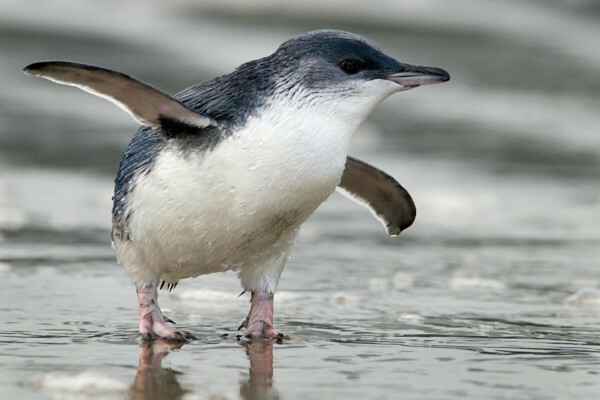 Little penguins are the smallest of all New Zealand’s penguins and the only penguin to breed in the Marlborough Sounds; they are also the loudest of all penguins! Their upper parts are slate blue while their under parts are white. The sexes are not easily distinguished. Little penguins may be seen at sea on a calm day, usually in small loosely associated groups. Most breeding birds in the sounds are solitary. Penguins develop wing quills in the embryonic stage but lose them before hatching. Their modified stiff wing forms become ‘oars’ that are capable of propelling them at up to 16km/h underwater and their set-back webbed feet and dolphin-like body shape – so comical on land – form a marvellous diving machine. We really have no idea what penguins say to each other when mother, father and chicks converse on a moonlit night from their burrows, or under the floorboards of a seaside bach, but they must have a lot to say judging by the considerable and deafening discourse. On the mainland, birds tend to nest in dense vegetation, rock piles, coastal caves and under built structures close to the shore. On islands, where there is no disturbance some birds will climb a long way to nest sites such as the summit of Maud Island. Little penguins have an extended breeding season with egg-laying occurring from July to August. Incubation takes approximately 35 days and the chicks take a further seven weeks before they fledge as independent young birds. Birds come ashore for a full body moult in mid summer. They feed mainly on small shoaling fish such as pilchards and anchovies as well as squid. In Marlborough little penguins breed throughout coastal areas of the sounds, where there are estimated to be between 5,000 and 10,000 pairs. Unfortunately their status is “declining” within New Zealand due to a variety of reasons including predation, disturbance and loss of breeding habitat. The fluttering shearwater is a medium sized shearwater, growing to 33cm long, with characteristic dark grey upper parts and pale under parts. The under-wings are pale, bordered with grey. It differs from Hutton’s shearwater in having smaller and paler under-wings, but is not easily distinguished at sea. Cook Strait is the southern limit to their breeding. Young birds and some adults spend the autumn and winter in eastern and southern Australia. Birds will visit burrows throughout the year but activity peaks in August, with breeding over the summer months and the single young fledging in late January to early February. In Marlborough they are found on most rodent-free islands, with the largest colonies on the Trio Islands and Long Island. Their feeding range is restricted to coastal waters and the continental shelf: Their diet is predominantly comprised of small fish which are captured by shallow plunge dives from a few metres above the surface, or krill, which is obtained by birds sitting on the water and dipping. Population estimates range from more than 100,000 birds to possibly a million. They are regarded as a significant species in Marlborough because of their abundance and contribution to the fertility of the island ecosystems where they breed. 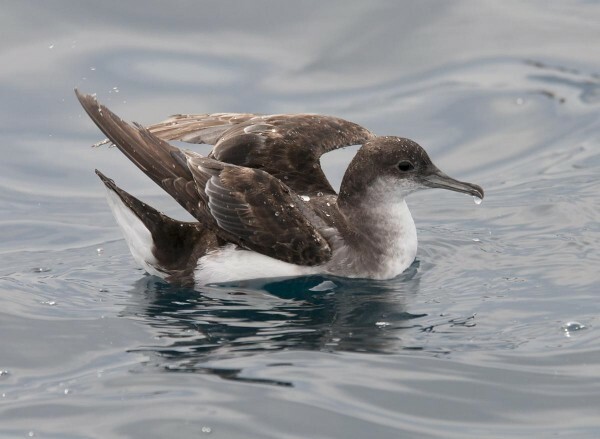 This species is the most abundant shearwater in Marlborough and is often seen in large flocks inside and outside the sounds, making it one of the most characteristic seabirds in the area. Keep at least 50m from whales (or 200m from any large whale mother and calf or calves). Swimming with whales is not permitted. You may swim with seals and dolphins but not with dolphin pods with very young calves. Avoid approaching closer than 20m to seals and sea lions hauled out on shore. Idle slowly away. 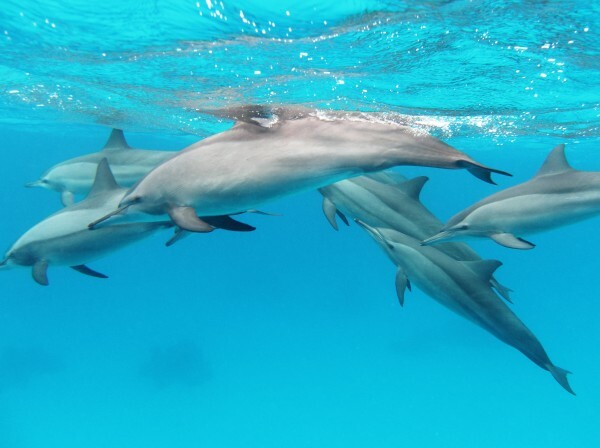 Speed may be gradually increased to outdistance dolphins and should not exceed 10 knots within 300m of any dolphin. 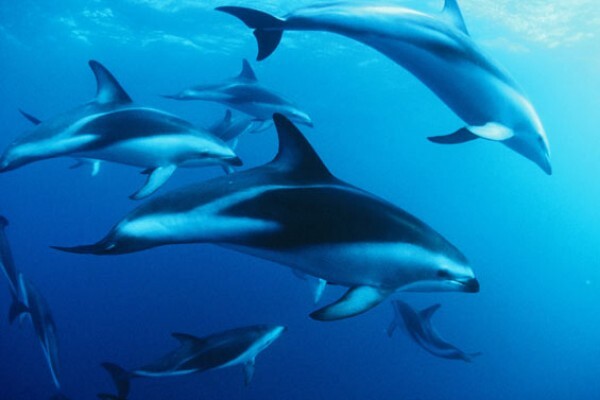 Dusky dolphins are a medium sized dolphin with a short beak. They grow to a length of 1.80m. 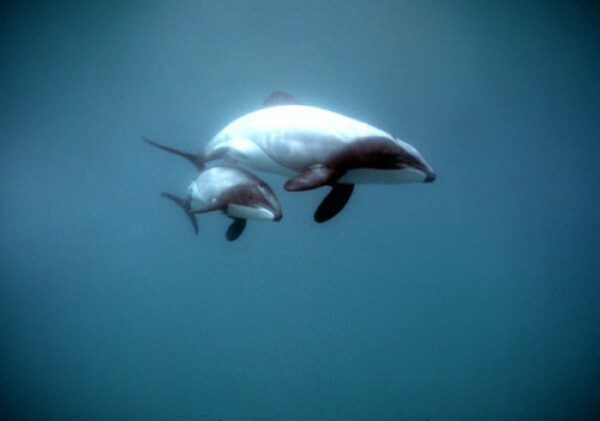 Dusky dolphins are coloured dark grey above and white below, with blazes of pale grey on their sides. They are widely distributed around the South Island and southern North Island but are rarely seen north of Hawke’s Bay. Hector’s dolphins are one of the world’s smallest marine dolphins, reaching a maximum size of 1.5m in length and 50kg. 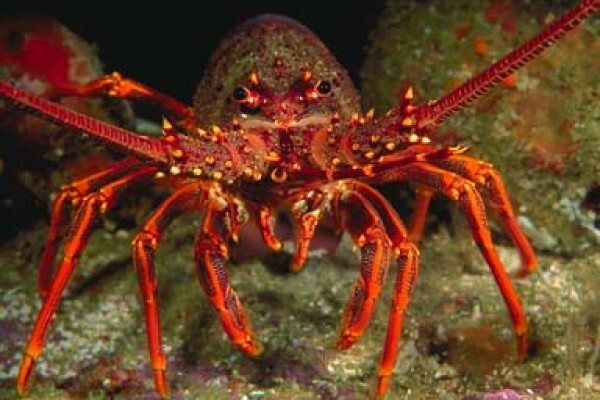 They are only found in the inshore waters of New Zealand. Hector's dolphins are a distinctive grey dolphin with black and white markings and are the only species in New Zealand with a round dorsal fin. Two sub-species of Hector’s dolphins exist: Maui’s dolphin is only found off the west coast of the North Island; Hector’s dolphin is found around the South Island of New Zealand except Fiordland. Bottlenose dolphins are a large and robust dolphin (up to 3.5m) with a short to moderate-length beak. They are grey-black on their backs and sides, fading to white on the belly. The dorsal fin is tall and swept back. They have a wide distribution globally and are found throughout tropical and temperate waters. 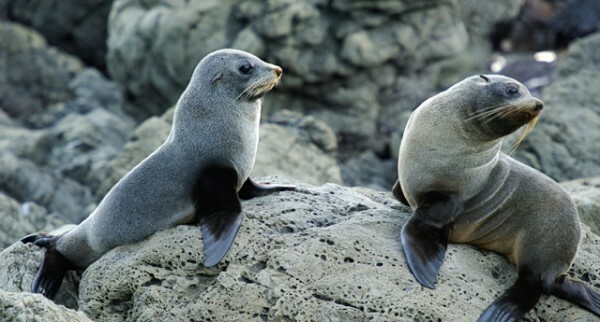 Male New Zealand fur seals grow up to approximately 2m in length and weigh up to 200kg. Females are shorter (1.5m) and much lighter at 30 to 50kg. They have moderately long muzzles with pointed noses and prominent ears. Adult males have a mane of longer hair around their neck and larger, thicker teeth than females. Adults are dark brown or grey brown above and paler below. Adult females tend to have lighter colouring on their undersides, while pups are mostly black. 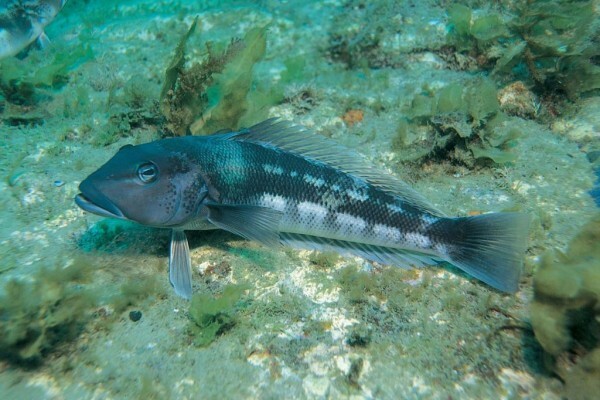 Blue Cod are a common reef fish in Marlborough, Kaikoura, Fiordland, Stewart Island and the Chatham Islands where they can grow up to 66cm in length. Juveniles have a different colouration to adults, being bright white with a black lateral stripe. Groper have a grey back, light grey to white belly and a pointed head with a lower jaw that protrudes well beyond the upper jaw. They are a large fish growing up to 160cm length. 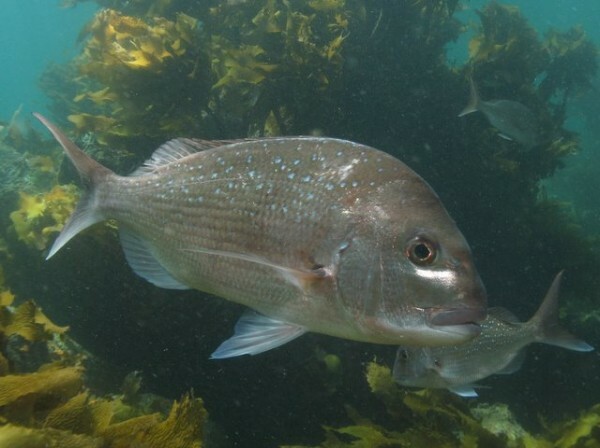 Groper occur throughout New Zealand waters and are widely distributed in the southern Pacific, Atlantic and Indian Oceans. Snapper have light copper-pink coloured backs fading to a white belly. Their lower caudal fin rays are white and the upper body covered in numerous electric blue dots (usually fade in larger fish). Snapper can grow to a length of 105cm and weigh 17kg or more. Snapper are widely distributed and occur off New Zealand, Australia, Philippines, Indonesia, China, Taiwan and Japan. 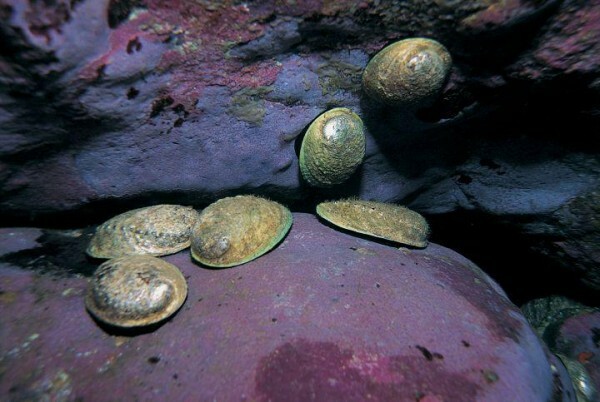 Black foot paua are a large sea-snail that lives in shallow coastal waters, usually in large groups on rocky reefs and can grow up to 188mm in length. They are endemic to New Zealand and have been recorded throughout much of the Marlborough Sounds, apart from the inner Pelorus Sound. New Zealand has two common species of rock lobster: The red or spiny rock lobster; and the green or packhorse rock lobster. Rock lobsters reach a maximum length of at least 54cm for males and 43cm for females with a maximum reported weight of more than 13kg. They are a favoured food source and must only be consumed in accordance with daily catch limits. 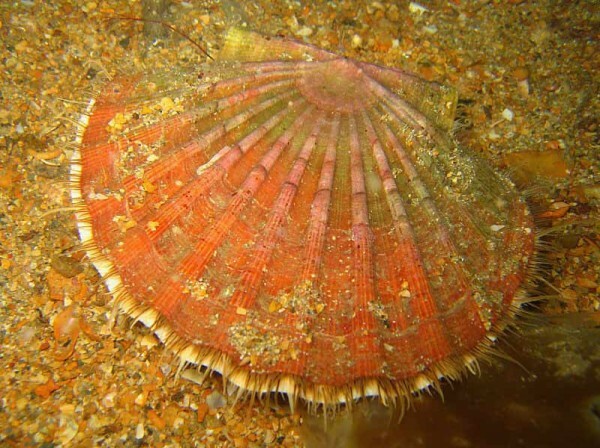 Scallops are endemic and one of several species of “fan shell” bivalve molluscs found in New Zealand waters. The shell is fan-shaped with the lower valve deeply curved and the upper valve flat. Both valves have conspicuous ridges.